Free Spire.Doc for Java is a free and professional Java Word API that enables Java applications to create, convert, manipulate and print Word documents without using Microsoft Office. 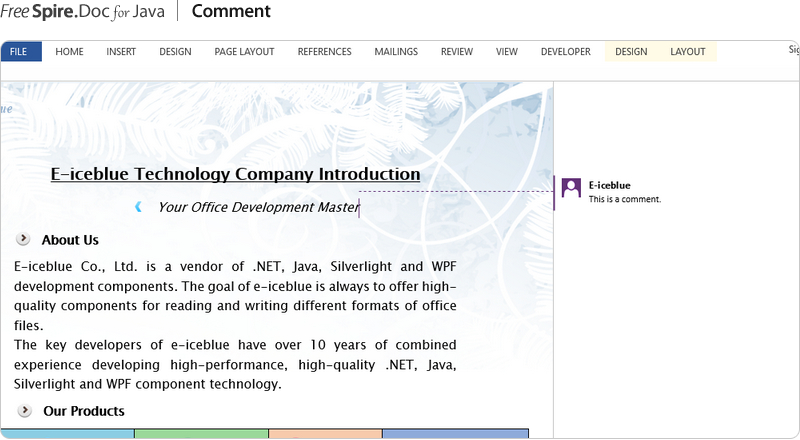 A plenty of Word document processing tasks can be performed by Free Spire.Doc for Java, such as create, read, edit, convert and print Word documents, insert image, add header and footer, create table, add form field and mail merge field, add bookmark and watermark, add hyperlink, set background color/image, add footnote and endnote, encrypt Word documents. Free version is limited to 500 paragraphs and 25 tables. This limitation is enforced during reading or writing files. When converting word documents to PDF and XPS files, you can only get the first 3 pages of PDF file. Upgrade to Commercial Edition of Spire.Doc for Java. Free Spire.Doc for Java is a totally independent Word component, Microsoft Office is not required in order to use Free Spire.Doc for Java. 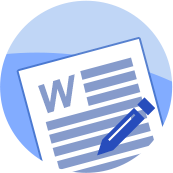 Free Spire.Doc for Java allows converting popular file formats like Html, Rtf, Odt, Txt, WordML, WordXML to Word and exporting Word to commonly used file formats e.g. PDF, XPS, Image, Epub, Html, Txt, Odt, Rtf, WordML, WordXML in high quality. Moreover, conversion between Doc and Docx is supported as well. Free Spire.Doc for Java supports a rich set of Word elements, including page, section, header, footer, footnote, endnote, paragraph, list, table, text, TOC, form field, mail merge field, hyperlink, bookmark, watermark, image, style, shapes, textbox, ole, WordArt, background settings, document encryption and many more. Free Spire.Doc for Java can be easily integrated into Java applications.